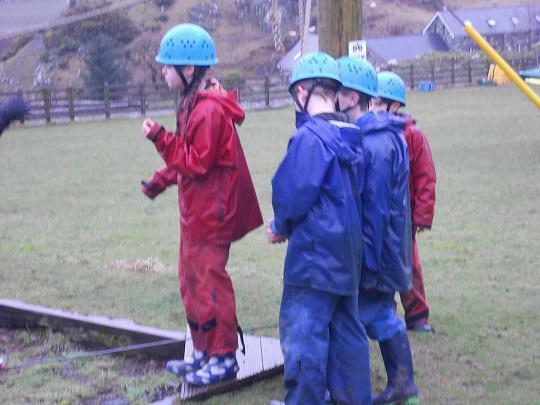 After a good night's sleep everyone was up and ready to go this morning. 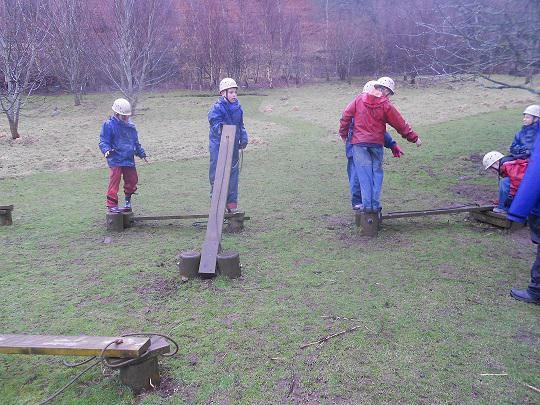 Today the children are working in two groups. 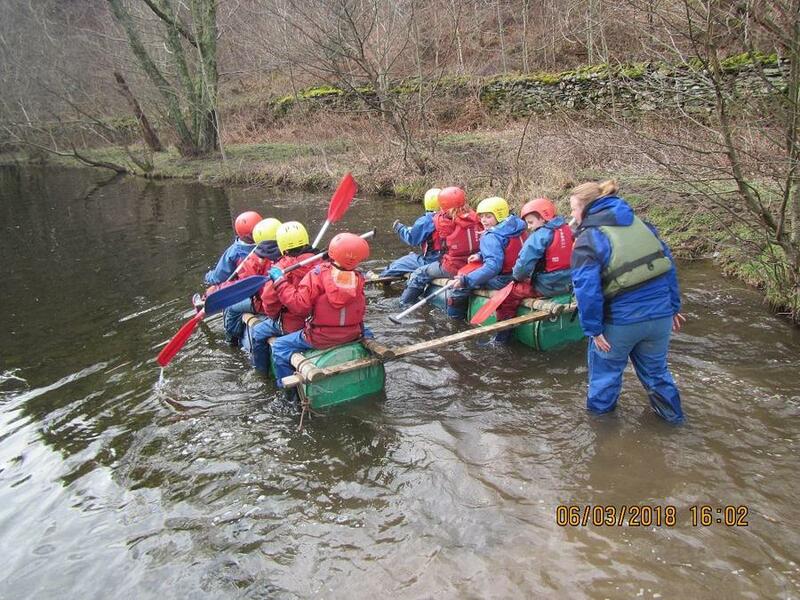 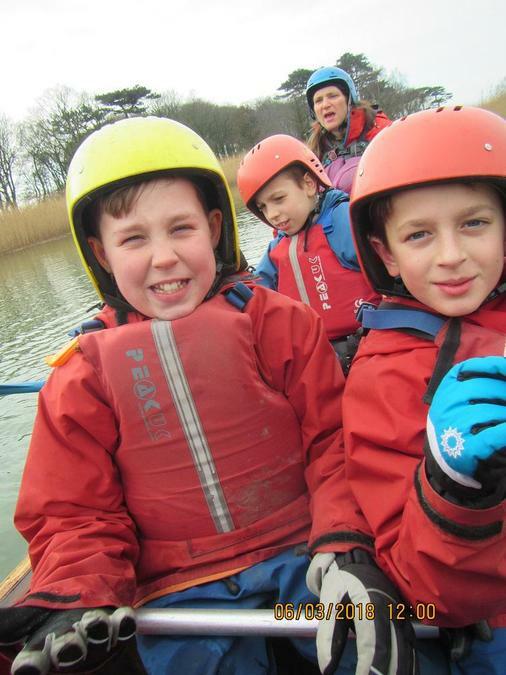 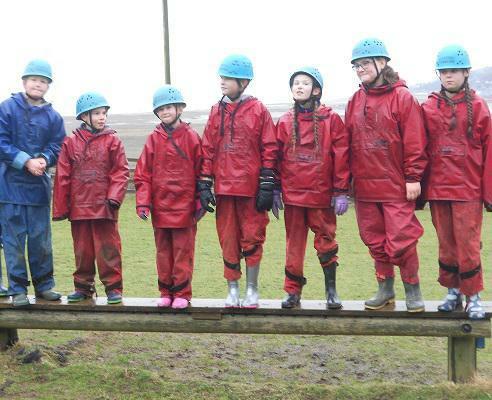 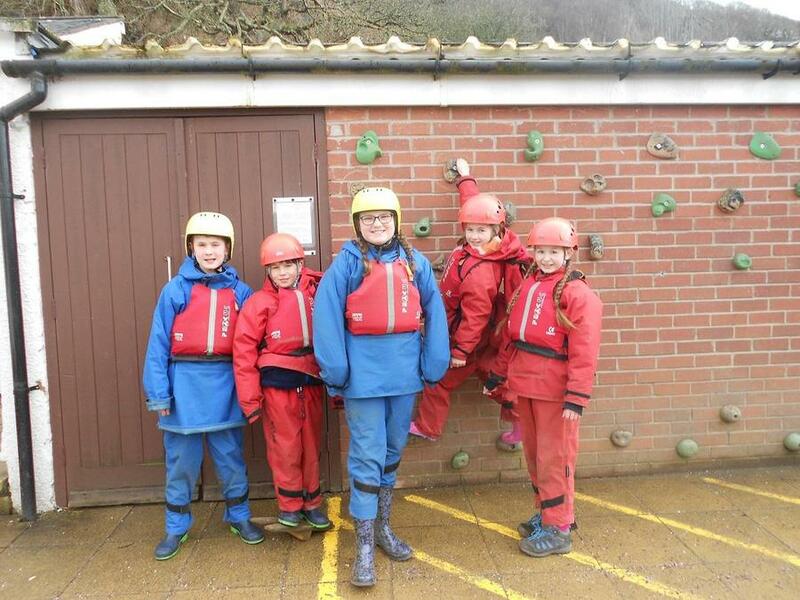 One group is going on a expedition in a Canoe and the other is Rock Climbing. 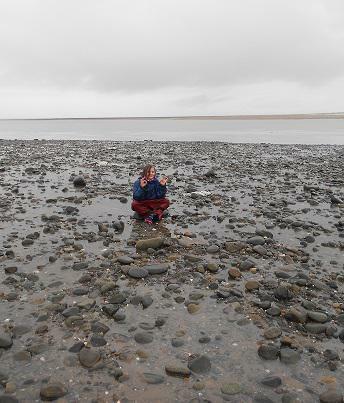 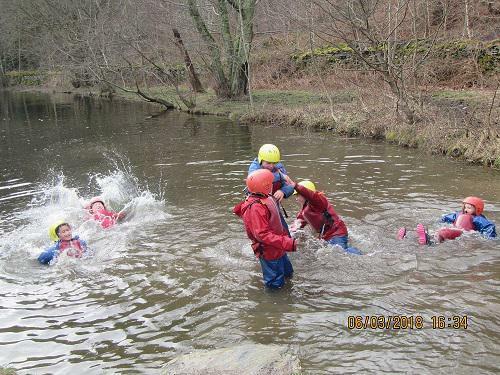 The photographs show some of the activities the children did yesterday afternoon. 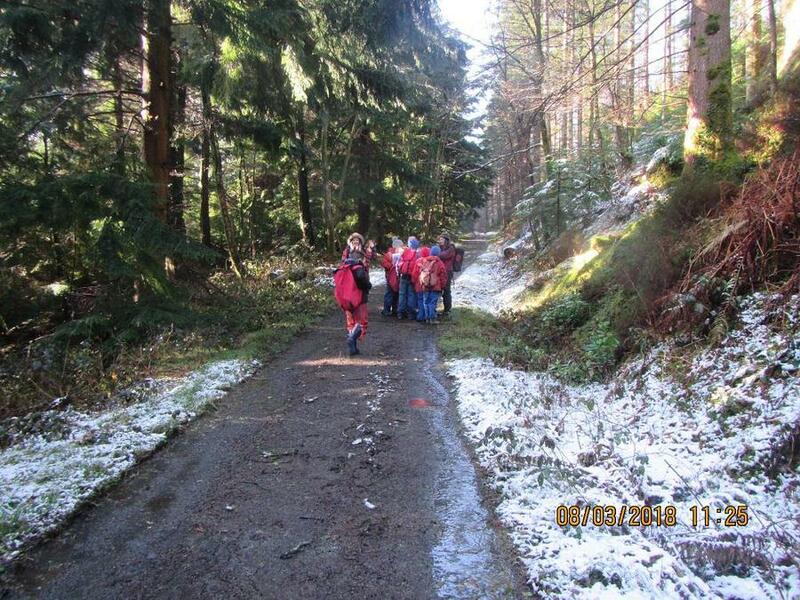 Although overcast, there doesn't seem to be very much snow left in the area. 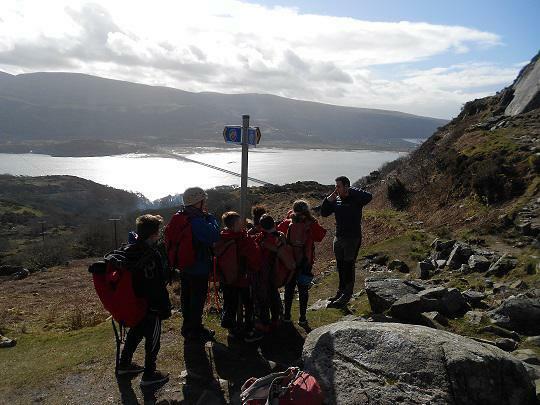 The children have had a lovely day and the weather has been sunny and dry- Showing the scenery at it's best ! 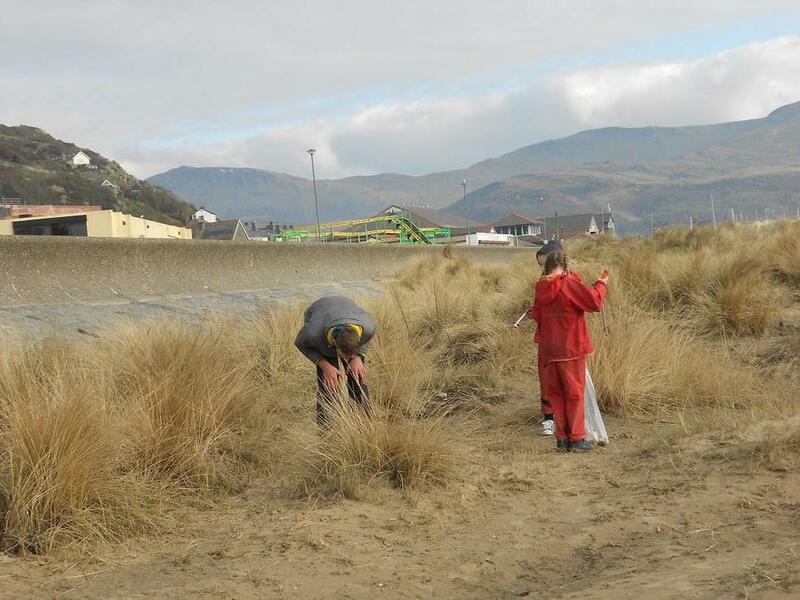 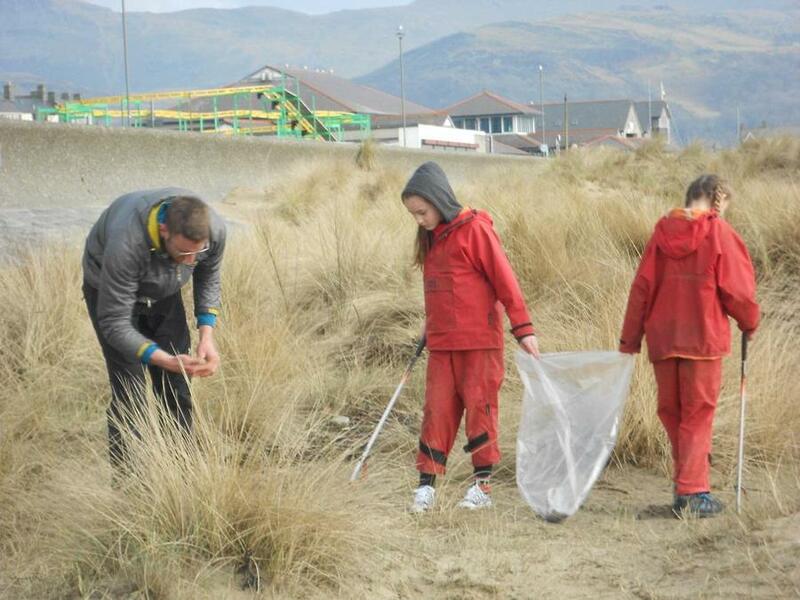 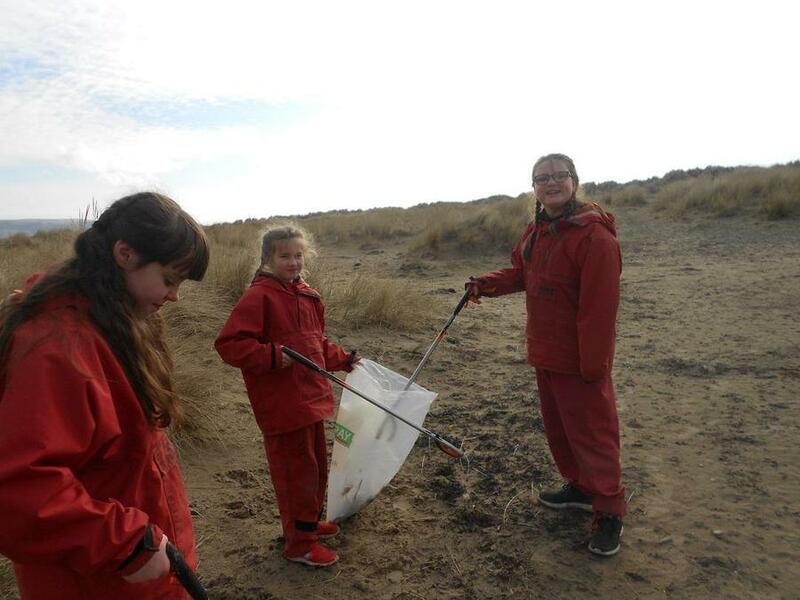 Mrs H Jones's group has been clambering up mountains, rock climbing and litter picking on Barmouth beach for our conservation award. 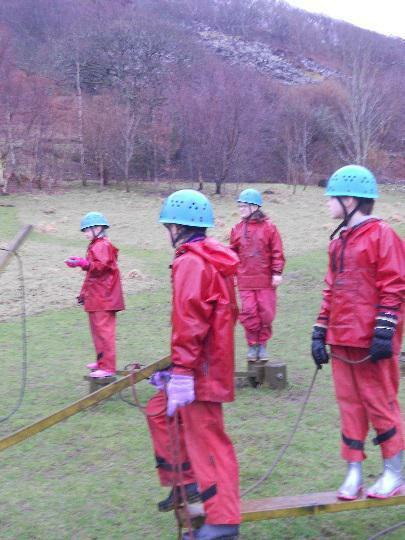 Every one is settled and eating well ( some a bit too well). 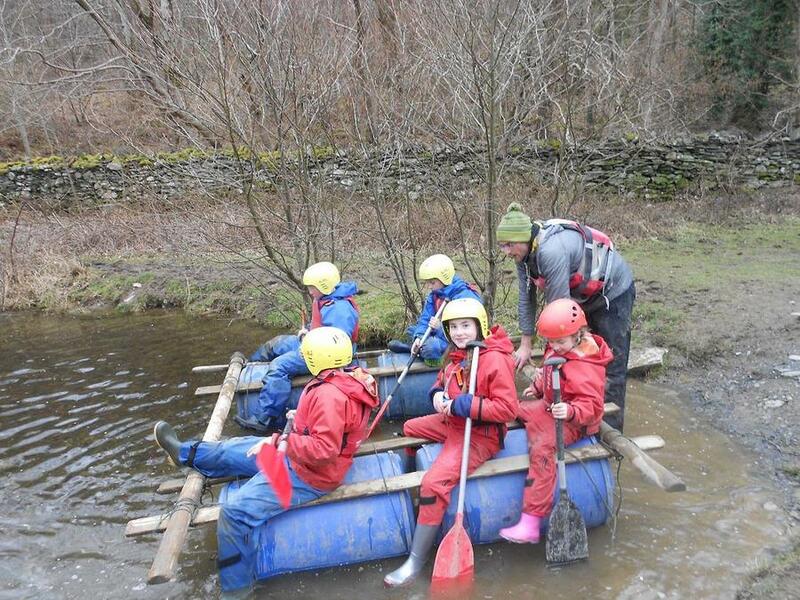 Everyone had a good night sleep last night.... all the fresh air and activities are wearing the children out. 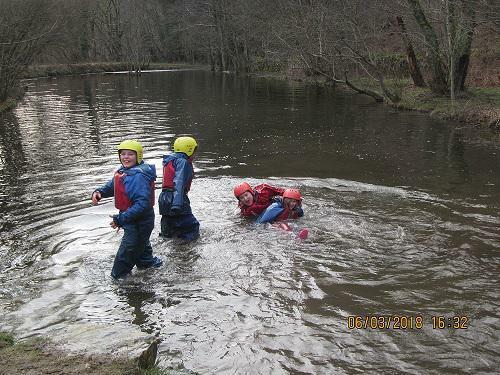 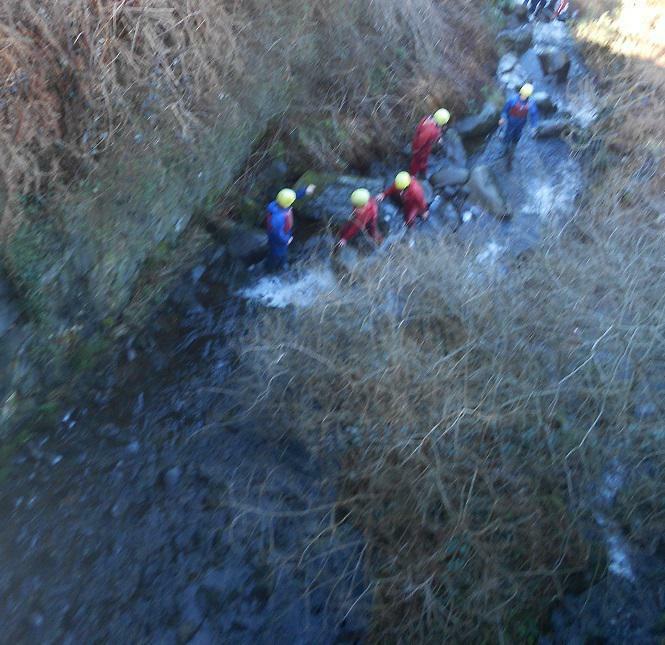 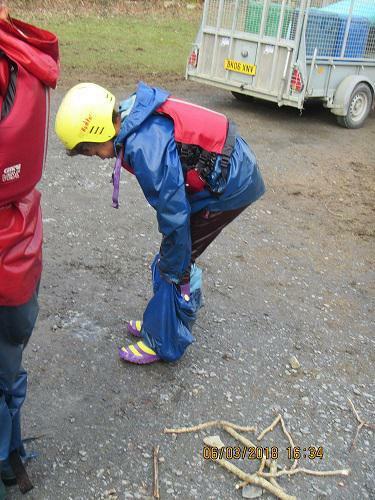 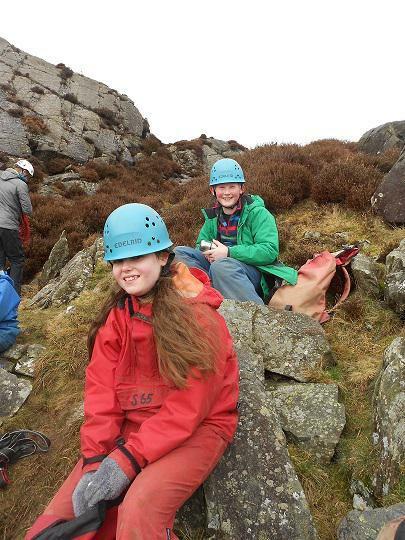 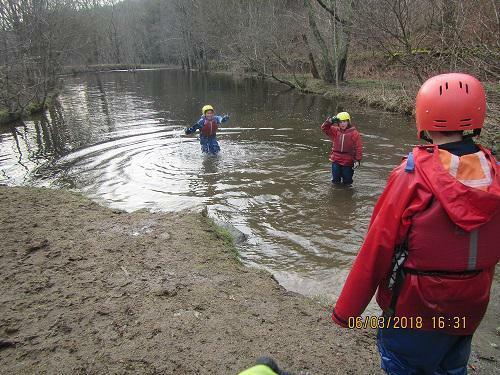 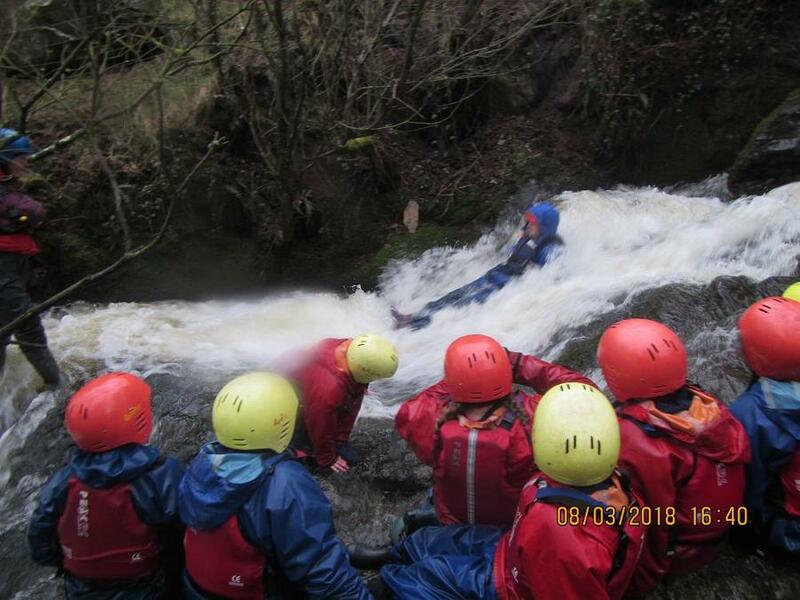 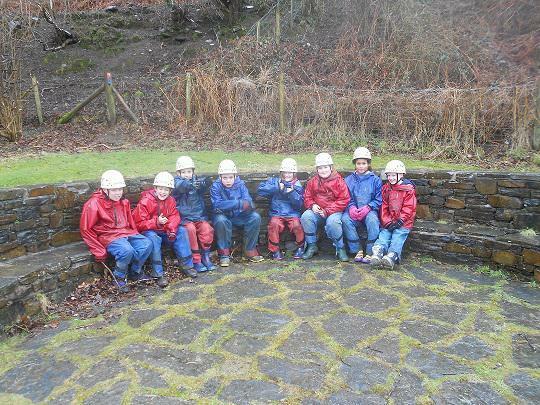 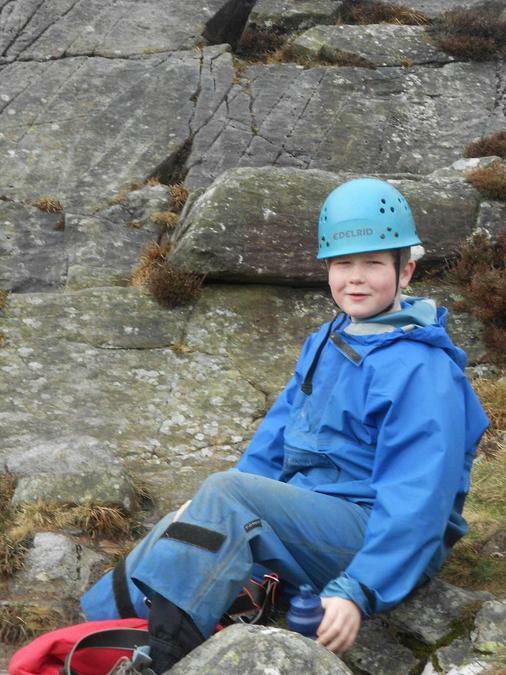 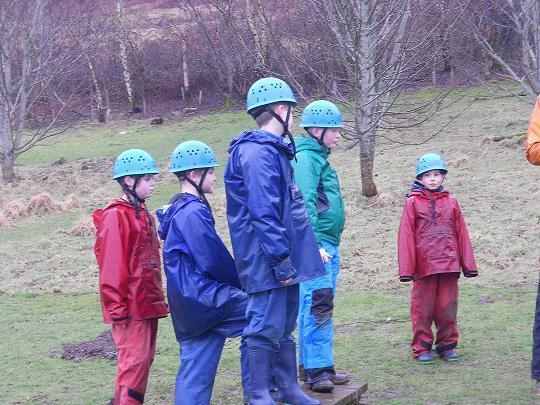 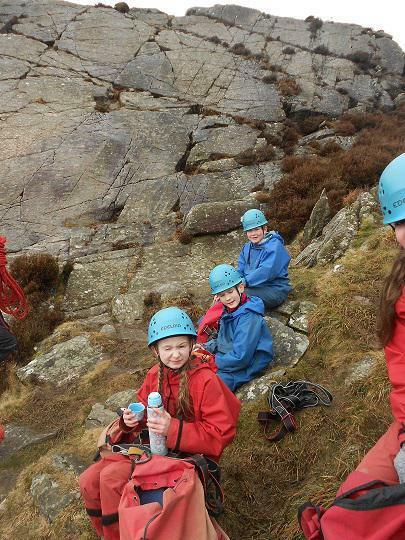 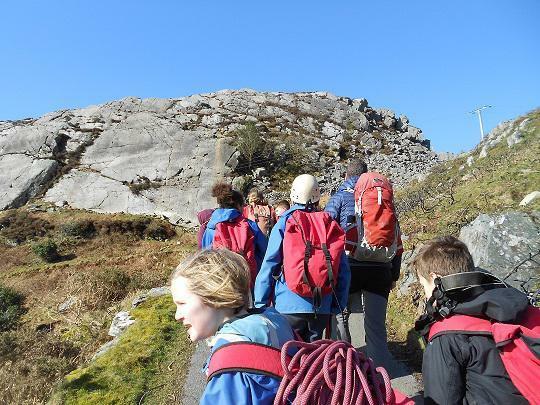 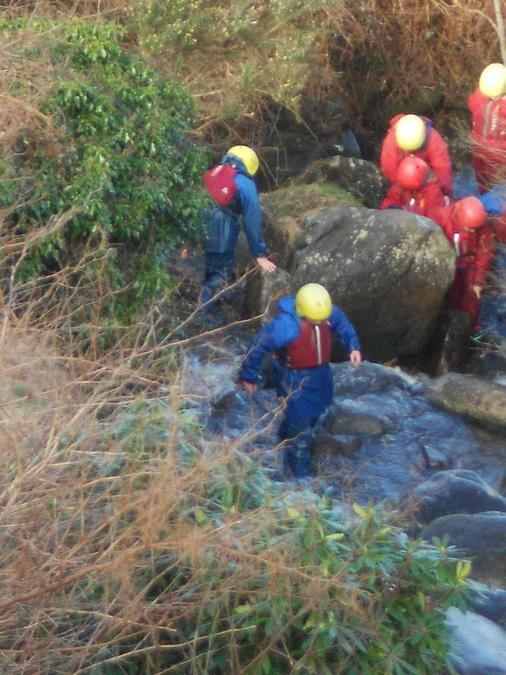 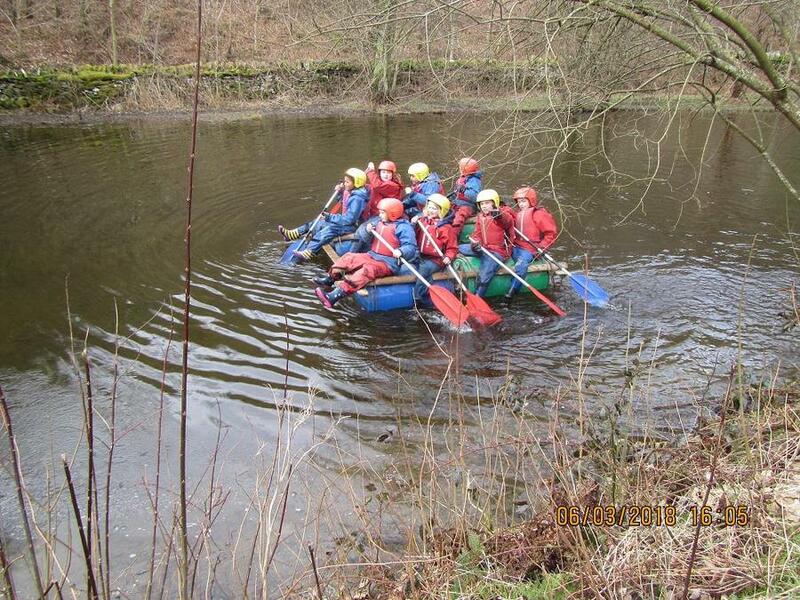 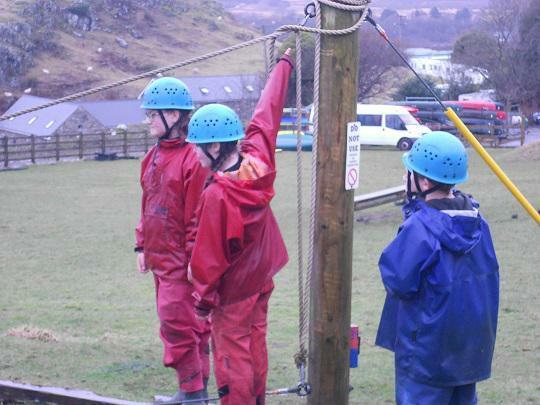 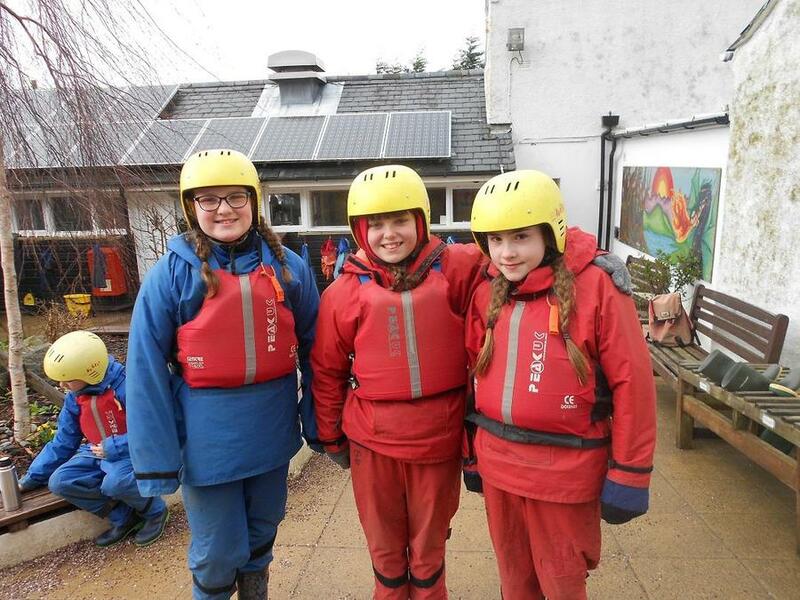 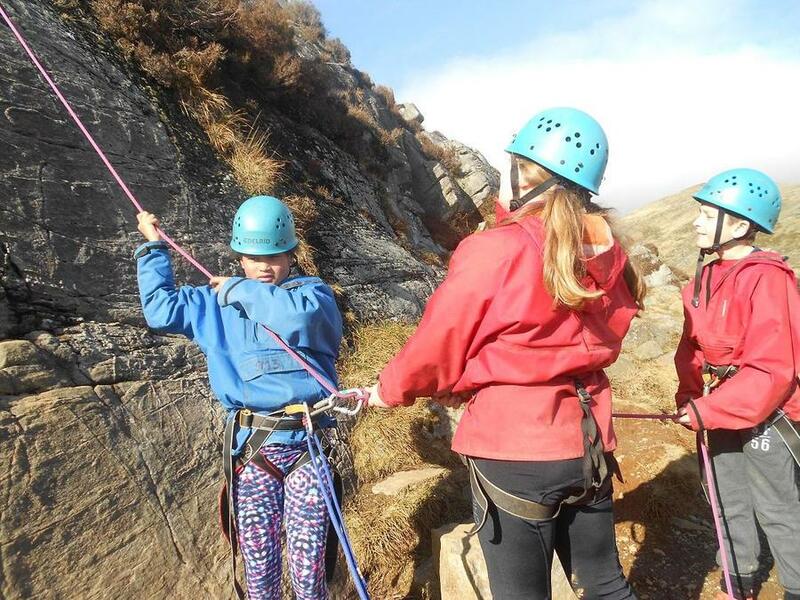 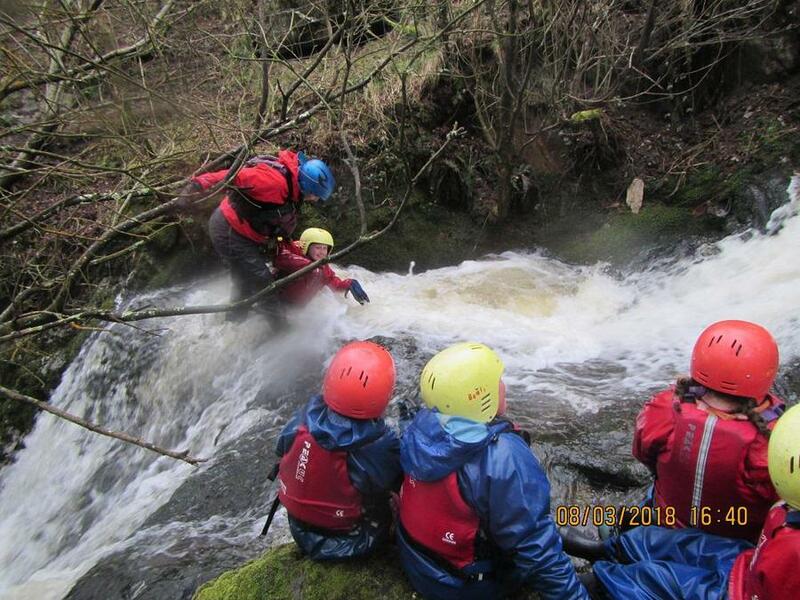 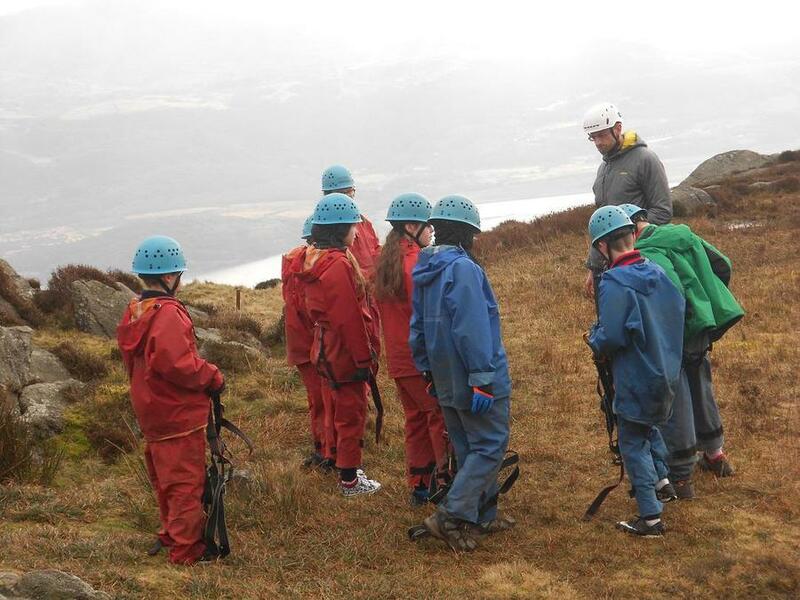 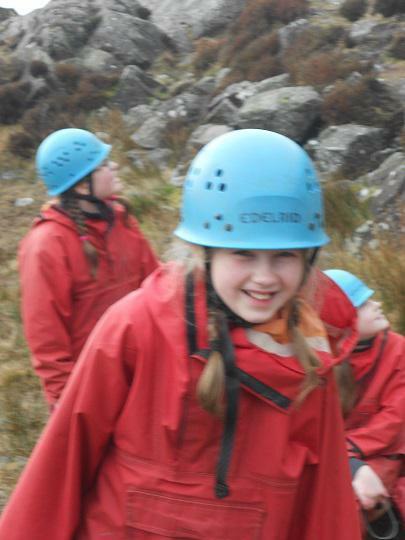 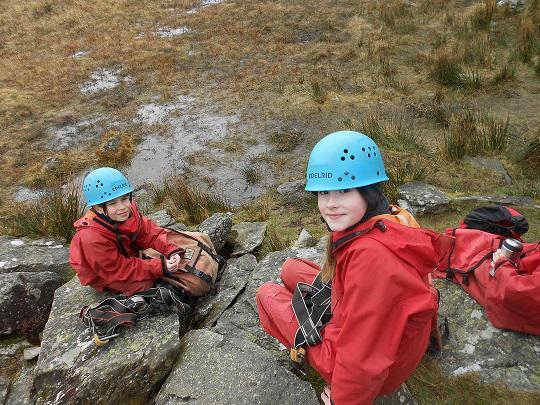 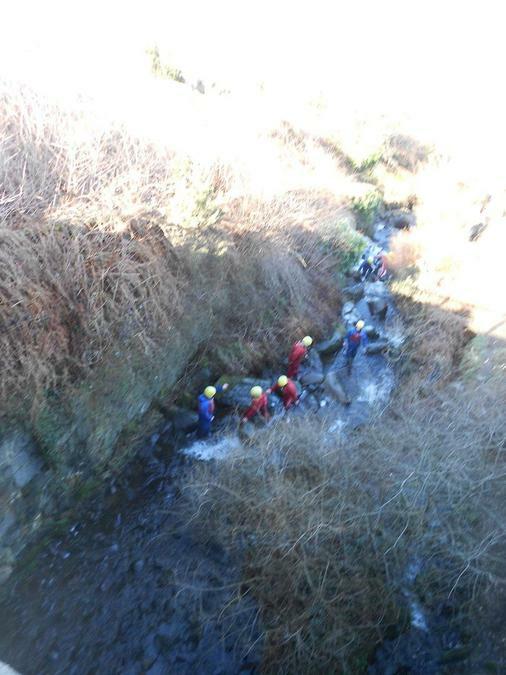 Wednesday was another busy but enjoyable day, with gorge walking and rock climbing just a couple of the activities the groups were involved in. 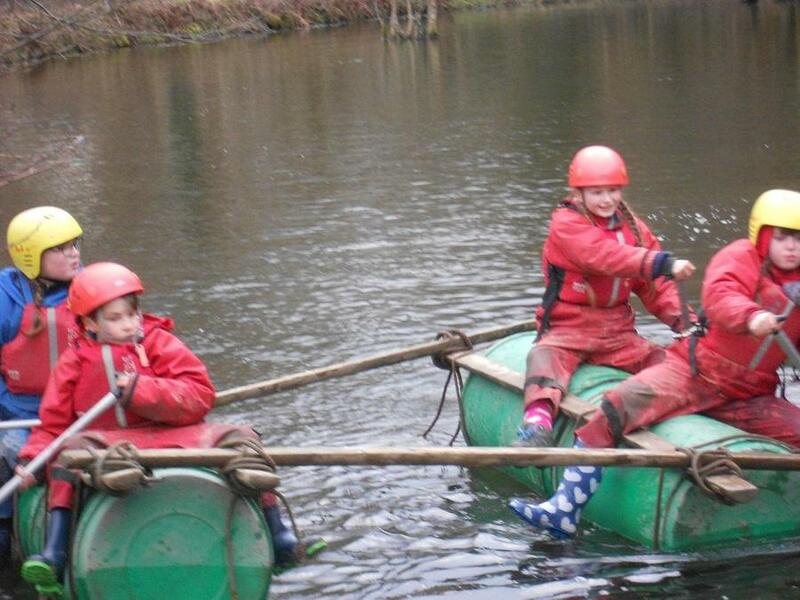 We hope you are enjoying the pictures that are being sent through to us each evening. 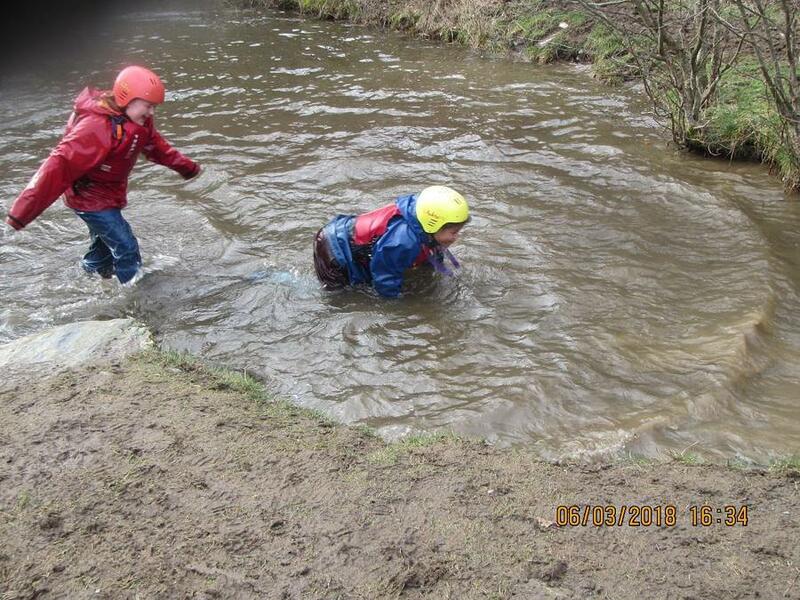 As you will see from the new photographs, there was another action packed day. 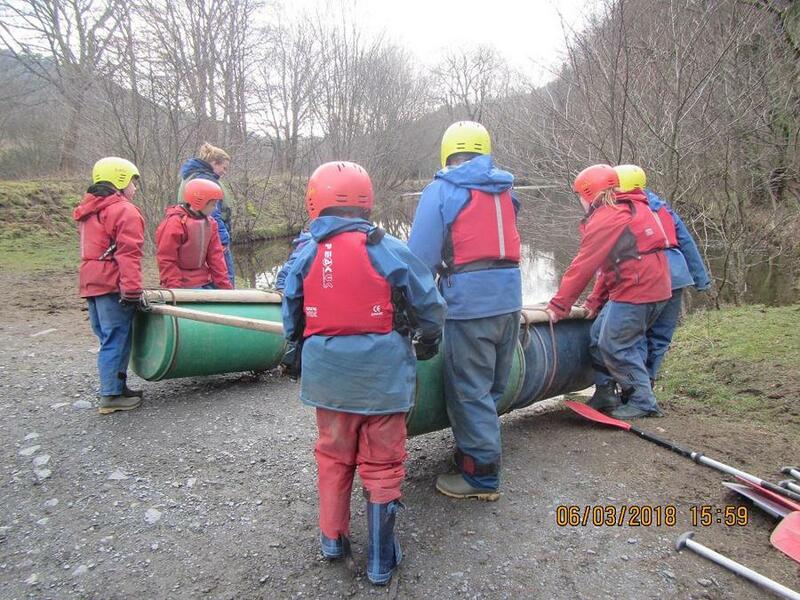 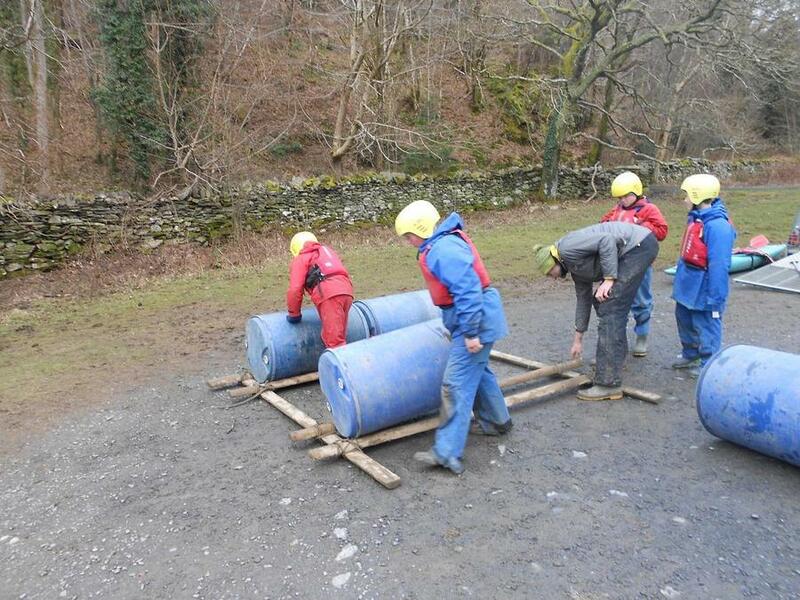 It started with show, but that didn't last too long and didn't stop the raft building and the other activities planned for the day. 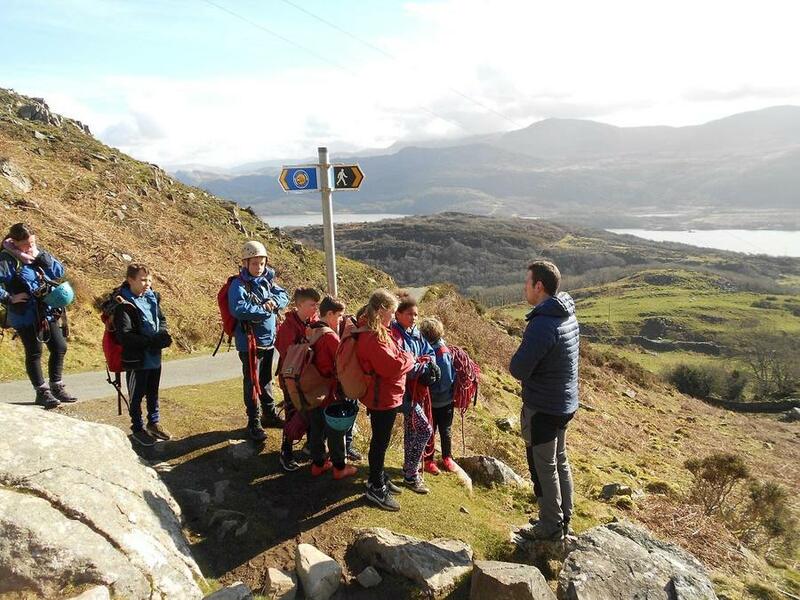 The bus arrived back five minutes early and it was lovely to see Year 6 back in school again - it hasn't been the same without them. 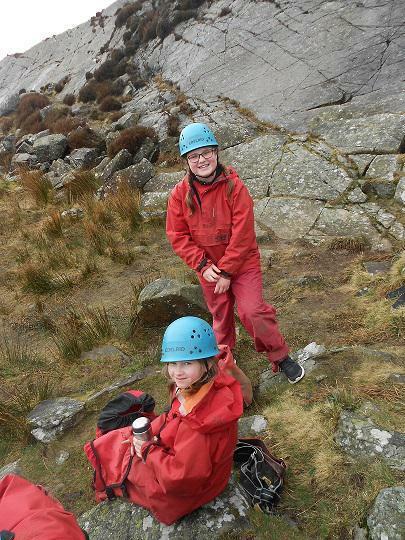 They came back smiling and full of their adventures, which I am sure they will be sharing with their families this weekend.